One of the founding mothers of the European Union, French politician and Holocaust survivor Simone Veil died on Friday (30 June) at the age of 89. A staunch believer in European integration, she became the first president of the elected European Parliament in 1979 and left her mark on European history. “Her path is an example to be followed by all Europeans. Her memory and legacy must be considered as sources of inspiration for the next generations,” said MEP Manfred Weber, Chairman of the EPP Group in the European Parliament. 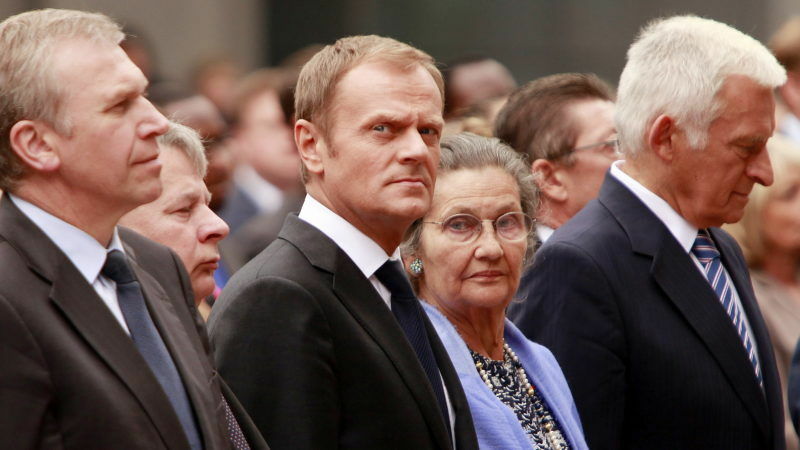 “Today, the European Union is mourning the death of one of its most emblematic figures. Simone Veil was an activist for European ideas, a symbol of peace and hope. We will be forever grateful,” added Weber. Veil survived Auschwitz and later, as minister of health, allowed French women the right to control their bodies by steering abortion law through Catholic France. “She lifted European politics to a new level as first president of the European parliament, where her intellect, grace and calm Europeanism turned the Strasbourg assembly into a serious body,” said Denis MacShane in 2009. Former president of the European Commission Jacques Delors remembers the momentum of those years. In her inaugural speech, Simone Veil referred to the wars that divided Europe. “The period of peace we have enjoyed in Europe has been an exceptional piece of good fortune, but we should none of us underestimate its fragility. Is there any need to stress the novelty of this situation in Europe, whose history is a long chapter of fratricidal and bloody wars?” she said. “We need a Europe capable of solidarity, of independence and of cooperation,” she stressed then. Simone #Veil, Former EP President, has died at the age of 89. Born in Nice to an atheist Jewish family in 1927, Simone Jacob (her maiden name) was arrested by the Gestapo in March 1944 and deported to Auschwitz with one of her sisters and her mother Yvonne. The two girls, who were put to work in a concentration camp, survived. Veil’s mother died of typhoid in Belsen just before the camp was liberated in 1945 and her father and brother were last seen on a train of deportees bound for Lithuania. After the war, she studied law at Sciences Po, the elite school of political science in Paris, where she met her husband Antoine Veil, who died in April 2013. Veil dismissed Hollywood films like Schindler’s List and remains bitter that it took the French state until 1995 to acknowledge that it was the official French government, not some renegade clique of Petainists that organised the deportation of Jews from France as late as 1944. President Emmanuel Macron described her as “inspiring” and the best of France. Former president François Hollande said Veil “embodied dignity, courage and moral rectitude”. “France has lost a figure the likes of which history produces few,” French Prime Minister Edouard Philippe added in a tweet. The tributes poured from across the continent. “She suffered personally from the tragic tearing asunder of Europe and managed, through her political engagement, to help build sustained peace in Europe,” European Commission chief Jean-Claude Juncker wrote in a letter to Macron. Now, some are asking for her inhumation in the Panthéon. A petition was sent to president Macron. Macron’s office announced a state funeral for Veil on Wednesday, adding that EU flags would fly at half mast on the day with French flags on public buildings bearing a black ribbon in her memory. Simone Veil was a symbol of democracy and historical memory for Europe. It says that her mother died of typhoid. I think that should probably be typhus. No it is not the same disease. Typhus is a disease that should not be. At all. It is carried by lice and proper hygiene usually suffices to suppress it. But not in those camps. Deprivation of soap can kill just like a gas chamber does.